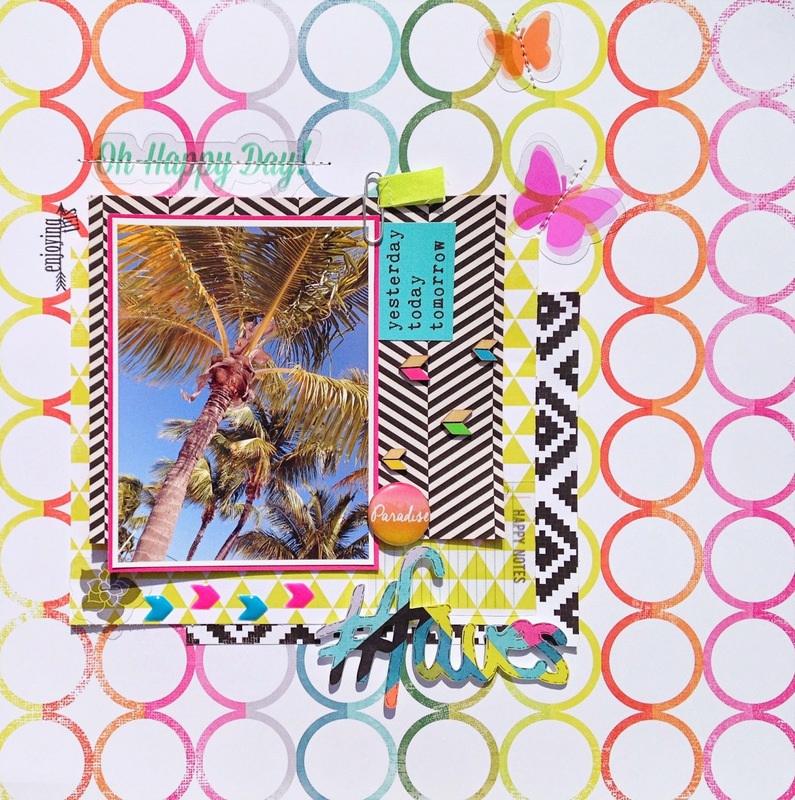 It's time for the June Mood Board challenge at Life.Paper.Scrapbook. and this one is sponsored by Um Wow Studio! 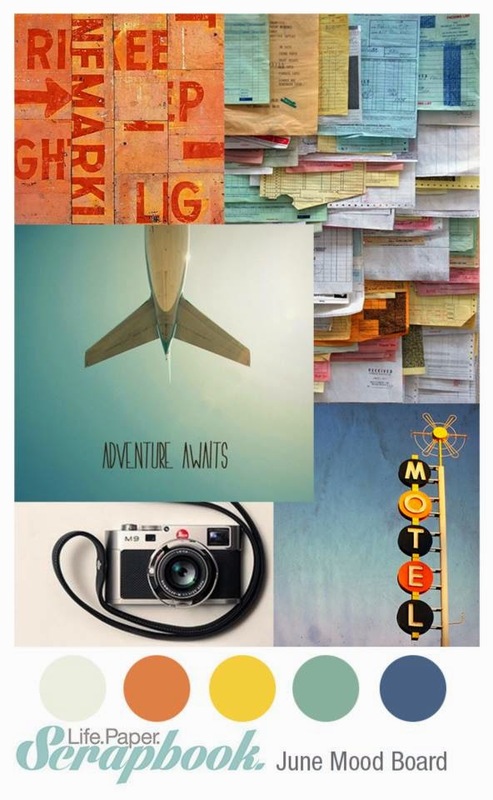 This mood board means travel to me, so I picked a photo of palm trees. Palm trees are the ultimate symbol for traveling and paradise. I took out my June kit from Clique kits, which is filled with Heidi Swapp, Simple Stories and Pinkfresh Studios. Um Wow Studio is a family owned business out of Las Vegas, NV. Their production is specialized in laser cut chipboard embellishments and masks for the paper crafting and mixed media community. Um Wow Studio is providing an awesome prize for the winner of this challenge! 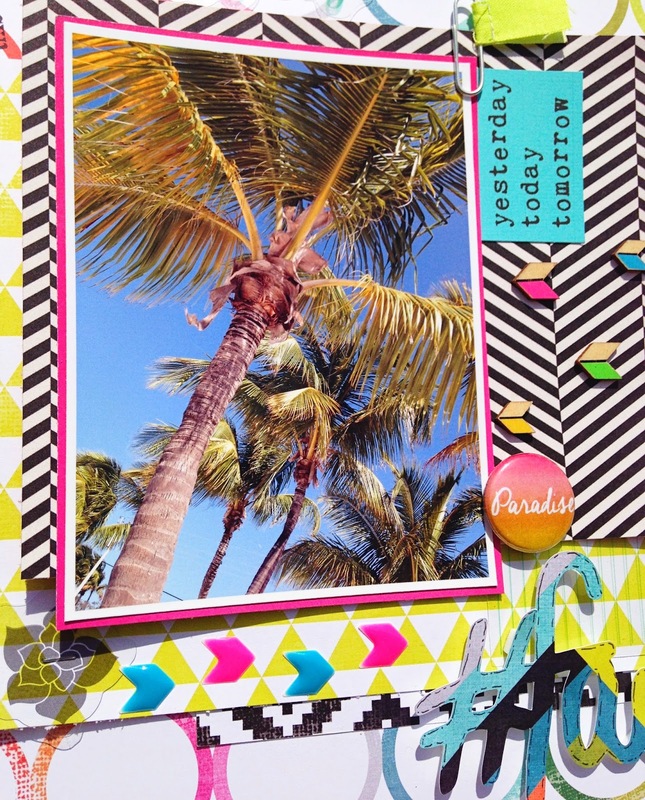 Love this bright and fun layout ! Love your title too. Love all the layered bits of brightness!!! Gorgeous! LOVING the bright colors!!!!! Awesome, happy page, Danielle! Love the transparency pieces with the added stitching! Beautiful layout Danielle! Love the layers and how you stitched on the acetate pieces!! Your photos is beautiful! I can not wait to see more work from you with the June Kit!! WOW stunning! LOVE this layout! The details are great and love the sewing on the layout!! 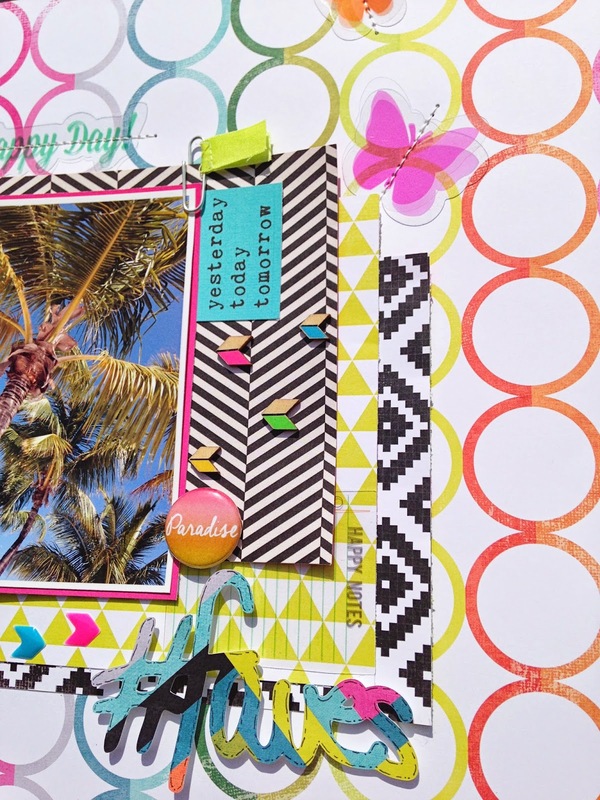 What a fun mood board and your page just dances with happiness. I so love it! Gorgeous! I love love love love the colors! Great job1!